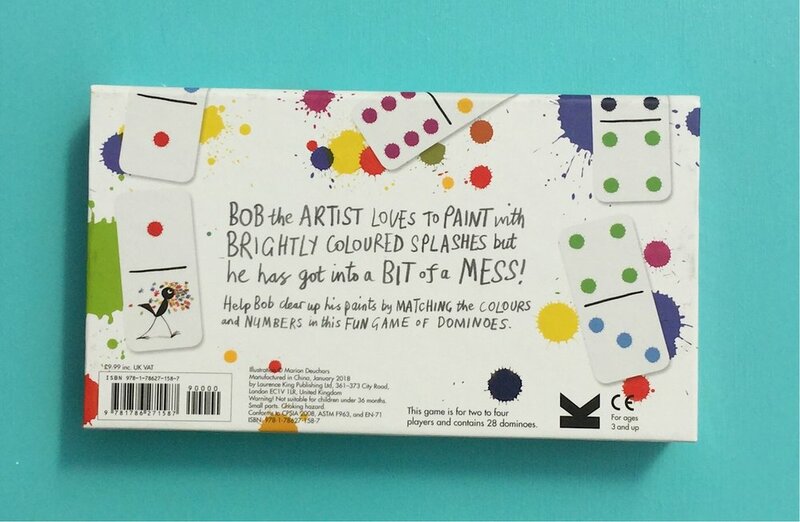 Bob the artist has made a mess. 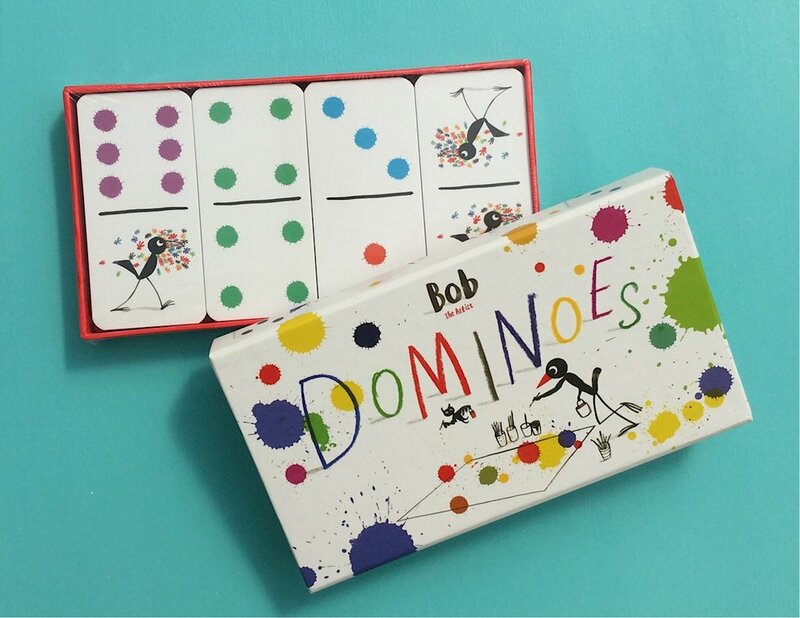 Can you help him tidy it up by matching the numbers and colours on his dominoes. A fabulous way to have book based fun while learning colours and numbers.